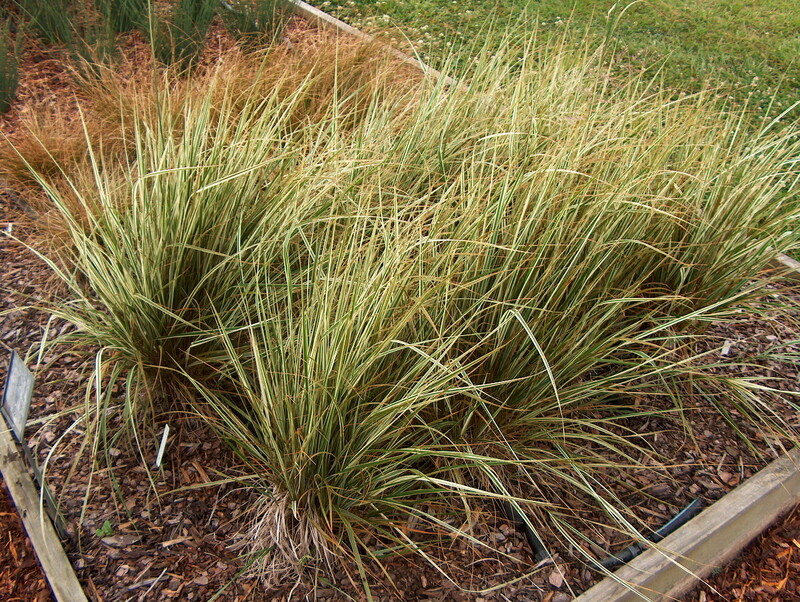 Comments: The variegated grass blooms early and will grow in relatively wet soils. The flower is pinkish-green. A nice clump grass for accent and garden enrichment. Plant in full sunlight and a well drained soil.